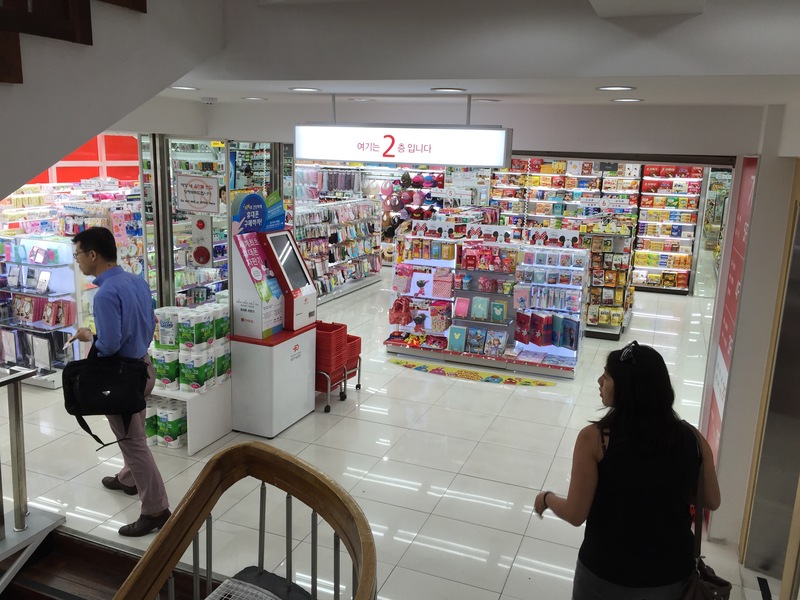 Daiso has just opened a new store in Myeongdong. Why is this so exciting you ask? Because it is 8 stories high, I think it’s the largest store in Seoul!! 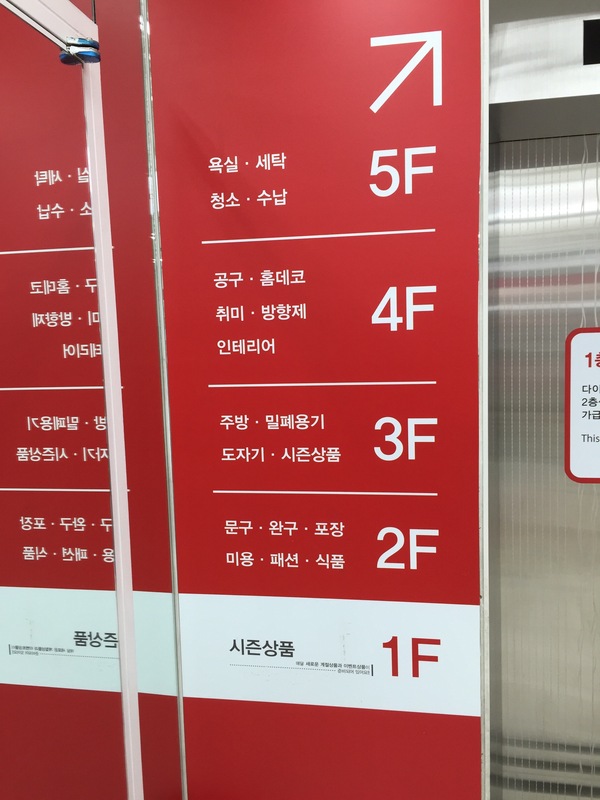 To get there and see all 8 magical floors for yourself take the subway to Myeongdong Station, take exit 2. The store is in between exit 1 & 2. Be prepared for a crowd as tourists love Myeongdong, and who blames them, it definitely has some of the best shopping. 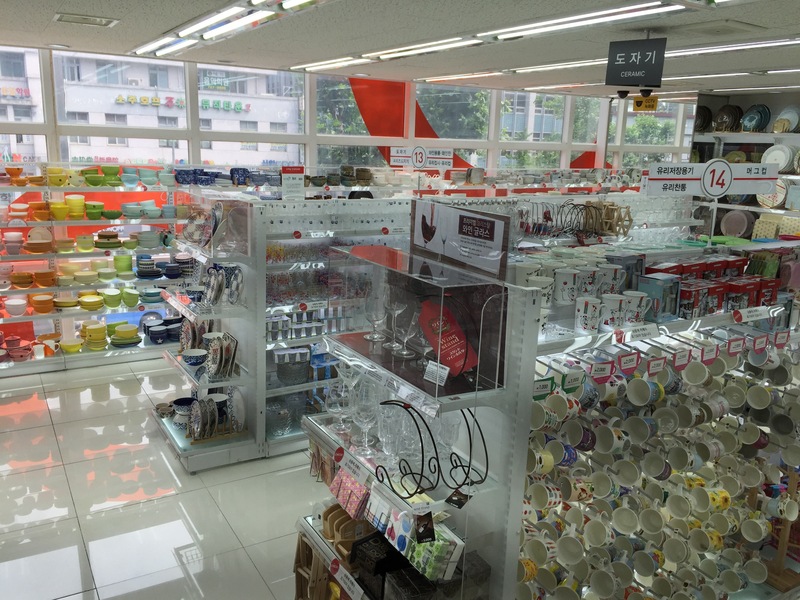 Daiso is a Japanese dollar store that is all over Korea. It is a really great place to pick up almost everything! The most expensive thing in the store is 5,000 won, which makes it easy on the wallet. 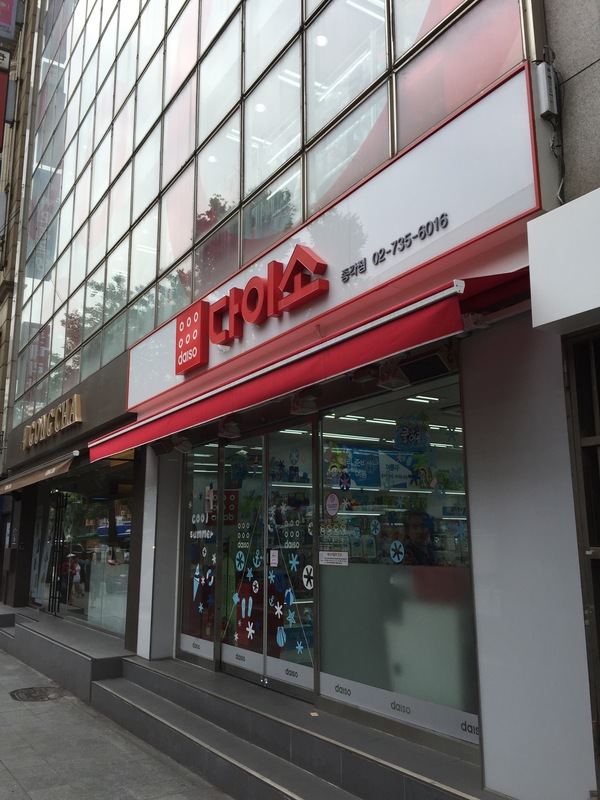 A friend and I visited the largest Daiso in the area, which is near Jonggak Station. 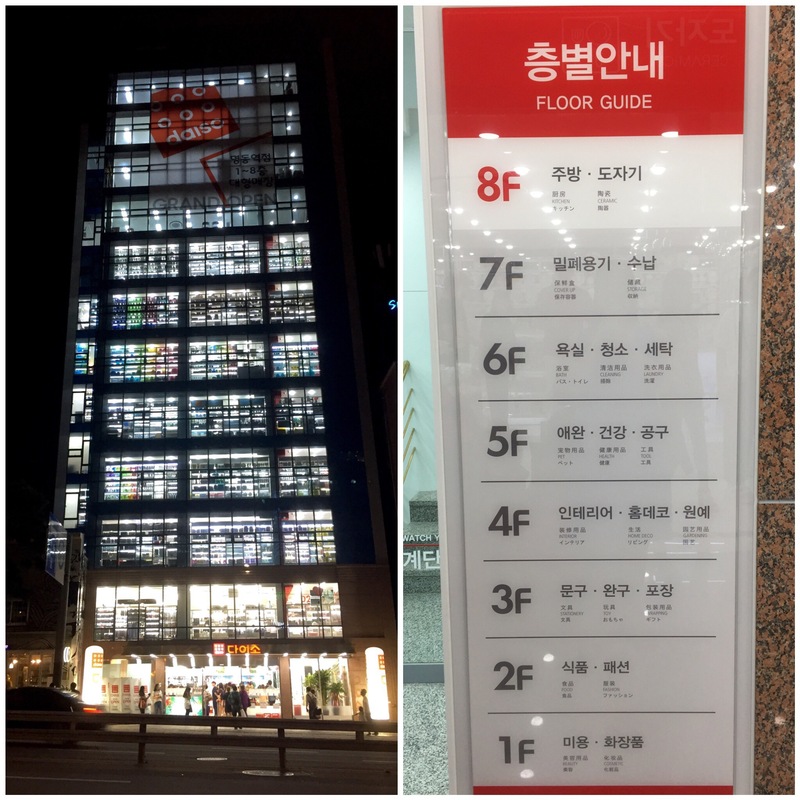 This Daiso has 5 floors! You are sure to find everything you need. Housewares, Cleaning Supplies, Gift Wrap, Stationary, Snacks, Beauty Products, Batteries, and just about anything else you can think of. You can see that they carry a huge variety of items and this is only 1 floor of the store!! They definitely have some interesting novelty items. For instance if you need a mini urinal, they have those too! 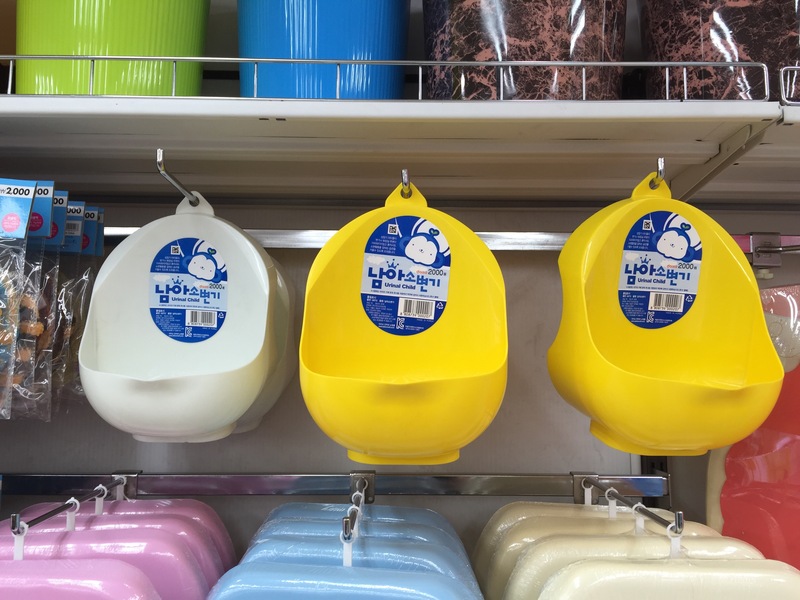 We have a small Daiso right across from Namyeong Station, and it has been a lifesaver on many occasions. Now that we found this store, I can’t imagine living without one near me!